There are different styles of debate. Each offer their own distinct format and focus. The most widely used format at the university level is Parliamentary Debate although certain regions of the world have their own, slightly different version of it. Many formats of debate are described as 'parliamentary' - a format that is loosely modeled on the practices of the British parliamentary system and other parliaments around the world that have adopted their practices. In practice it means that the motion for debate is treated in much the same way as a legislative Bill placed before the UK House of Commons. The motion always stands in the name of the Government (also called 'the proposition') and it is the job of the opposition to demonstrate that the motion is either impractical or immoral. The term Points of Information (POI) is what makes the parliamentary format quite distinctive. POI allows debaters to interrupt a speaker to ask a question or offer information which favours their side of the debate. Both proposition and opposition speakers can offer POIs, but only to the other side. It is not compulsory to accept to answer POIs but in a competitive debate, speakers are penalised if they fail to take any. Usually the first and last sections of a speech are 'protected time' during which POIs may not be offered. Is there a specific terminology? This is the name of the format used for the World Universities Debating Championship and has, as a result, become the default format for many university societies, especially in the English-speaking world. It is probably the most commonly used format in the World. In much the same way as many university societies debate in their native language as well as English, so they tend to use a regional or local format and also BP. Debates comprise eight speakers: four speaking in favour of a motion and four against. Each side is made up of two teams of two individuals. They debate a motion (the idea to be discussed) which is usually framed with the wording This House believes... or This House would.... For example if the motion is This House would support assisted suicide, it is the role of the Proposition (or 'Government') speakers to explain why assisted suicide is a good idea and the opposition should demonstrate that it is not. As a form of parliamentary debate, in BP the government should propose a course of action and support it with philosophical, practical and consequential arguments. The burden of proof is on the government, but the opposition must also demonstrate the strength of their arguments. How long does each speaker speak for? Typically in BP, a motion is announced 15 minutes before the debate starts. Speeches are seven minutes in length, with the first and last minute protected (Points of Information cannot be offered in 'protected' time). The first proposition speaker is required to present a definition of the motion that places an idea in a real-world setting. Once a motion has been defined, all speakers are required to address the definition, not some other variant that might be easier for them. The Karl Popper format focuses on relevant and often deeply divisive propositions, emphasizing the development of critical thinking skills and tolerance for differing viewpoints. Debaters work together in teams of three and must research both sides of each issue. Each team is given the opportunity to offer arguments and direct questions to the opposing team. Judges then offer constructive feedback, commenting on logical flaws, insufficient evidence or arguments that debaters may have overlooked. Where is Karl Popper popular? This format was developed for use in secondary school programmes and competitions. It is popular in Central and Eastern Europe, in Russia and Africa, where it is becoming increasingly popular in Uganda, Kenya, Rwanda, Zimbabwe, Liberia and Nigeria. Is it a good format for beginners? Karl Popper emphasizes team work and is a good format for beginner debaters, because each speaker in this debate speaks once only and members of the team need to communicate with each other during the designated preparation time. The distinguishing features of the format are: cross-examination, when four of the six debaters ask their opponents questions; and preparation time, when debaters can prepare before their speeches. Sir Karl Raimund Popper CH FBA FRS was an Austrian-British philosopher and professor. He is generally regarded as one of the greatest philosophers of science of the 20th century. Is there a difference between the Karl Popper debate format and the Parliamentary format? The Karl Popper debate format is most frequently used with secondary school students; the Parliamentary format with secondary and university students. Online debating formats are meant to allow debaters to engage in short debates using instant messaging or video conferencing software. These debates will have one debater representing the "affirmative" and another debater presenting the "negative". While online debates are not meant to replace face-to-face communication, they are a way to bridge geographic distances and to allow for discussion between people who might not otherwise have a chance to meet. Debating in the virtual world allows schools to have an inter-cultural exchange with other schools in an online dynamic environment and builds bridges across borders. T-Bate is a built-in online service within the idebate online ecosystem, directly accessible via the singular idebate login. Combining the best and most heavily used aspects of Debatabase, Debatepedia, and the overall idebate website, T-Bate allows you to create a debate and have debate-styled discussions between debaters, teams, schools and even nations, such as via the World Online Debating Championship. Social media has penetrated almost every facet of human interaction, and the trend continues to grow, forcing discussions to move to places not easily imagined even a decade ago. With new technologies increasingly pervading our everyday lives, people are more and more challenged by the traditional methods of debating. It is a valuable education tool for learning, teaching and improving skills. You can easily share an argument with and for others to build and improve upon. What does it mean to debate online? Online debating can be primarily considered as translating the routines of debating to new online platforms. What if translation is only part of the challenge? What if we consider the opportunity new technology provides to revisit the basic elements of debate? We are aware that people expect a debate to involve debaters meeting at a single, common place, speaking, being judged and then leaving. Is this the only option? We don’t think so. Imagine being able to debate, pause and debate again? Modify the length of your speech to challenge speakers with even more abbreviated commentary. How did IDEA come up with the design? When designing T-Bate, we studied award winning Debatabase, and created a platform that allows you to explore asynchronous debating, opening the discussion front to debaters from different time zones as well as sharing other aspects of expressing one’s opinion, be it text, voice or video. Heavily incorporated with social media, the T-Bate platform allows every aspect of one debate or discussion to be shared, commented, discussed and improved upon. You can debate within preset traditional formats, featuring debaters, commenters and judges, or you can go ahead and devise your own format, based on the capabilities of individual debates. In Lincoln-Douglas Debate, the motion is a statement, phrased as a sentence that focuses on an issue of philosophical or political concern and which will be analyzed from a moral perspective. Lincoln-Douglas Debate places primacy on the ability of debaters to make original, coherent and philosophically persuasive arguments on issues of ethics. Debaters should present a persuasive moral position that they can defend from criticism and use to argue against an opposing case, without falling into self-contradiction or denying the complexity of the issues at stake. Students should familiarize themselves with the work of major ethical philosophers and should inform their cases with real-world examples and analysis. 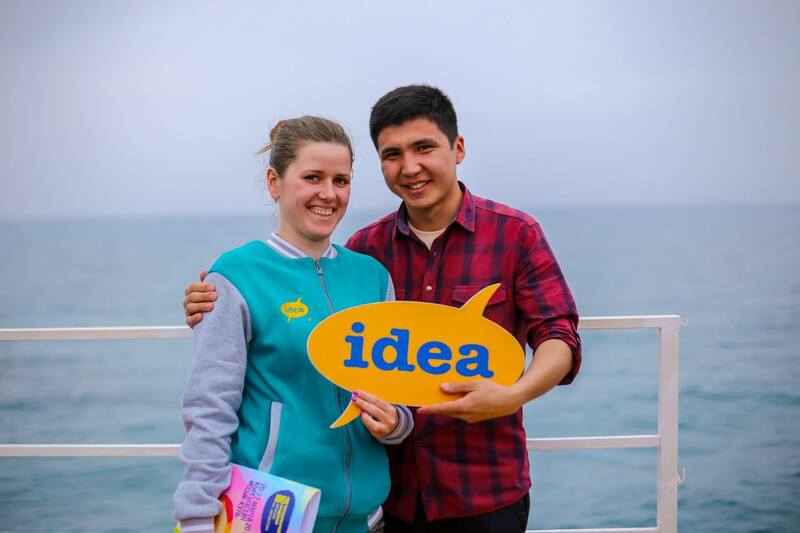 Fostering debate and speech activities at the middle school level is consistent with IDEA's commitment to empower young people as participants of the democratic processes. Middle school students can benefit uniquely from exposure to speech and debate. They are at an age, psychologically and socially, where they can make considerable strides in acquiring research competence, media and argument literacy, reading comprehension, evidence evaluation, and public speaking and civic skills. Finally, through cultivating middle school speech and debate activities, not only are young people and teachers empowered, but an appreciation of speech and debate is instilled in students who may well pursue it to higher levels. Mock Trial is an exercise in argumentation and legal procedure and the only educational trial format based on the International Criminal Court established by the Treaty of Rome. The IDEA Mock Trial hones both legal reasoning and courtroom technique, while it familiarizes participants with a vital arena of public debate. Teams representing the prosecution and defense take on the roles of all attorneys and witnesses. A judge, or judging panel, oversees the round, provides educational criticism and makes a decision based on each team's performance. Each case argued is an original scenario that the participants must master. Facts are presented through a variety of legal documents and through the testimony of witnesses. Although the underlying facts are the same, each round unfolds differently according to the actions, decisions and interactions of the participants. Teams contest the facts of the case through direct examination, cross-examination, re-direct and re-cross of both prosecution and defense witnesses. Like other forms of debate, Cross-Examination Debate focuses on the core elements of a controversial issue. Cross-Examination Debate develops important skills, such as critical thinking, listening, argument construction, research, note-taking and advocacy skills. Cross-Examination Debate is distinct from other formats (with the exception of two-team Parliamentary Debate) in its use of a two person team, along with an emphasis on cross-examination between constructive speeches. While specific practices vary, Cross Examination Debate typically rewards intensive use of evidence and is more focused on content than rhetoric and delivery. Public Forum Debate offers students a unique opportunity to develop on-your-feet critical thinking skills by situating them in contexts not unlike US political talk shows. Public Forum debaters must anticipate numerous contingencies in planning their cases and must learn to adapt to rapidly changing circumstances as discussions progress. Public Forum's open-ended cross-examination format encourages the development of unique rhetorical strategies. Public Forum debates should be transparent to lay audiences, while providing students with real-world public speaking skills, through the discussion of contentious ideas. Debate doesn’t need to be limited to the setting of competitive debate tournaments in which only students take part; instead, we feel that debate can operate within a broader context of public participation and embrace different segments of a community. We strongly encourage members to promote and support public access to debate through the organization of public debates and by inviting the public to debate competitions. Students learn to prepare and deliver an original speech on the spot and without preparation. Impromptu Speaking topics range from the meaning of proverbs and abstract words to the significance of events and quotations by famous speakers. Students must prepare and deliver an original speech on a current event, with a limited amount of preparation time. 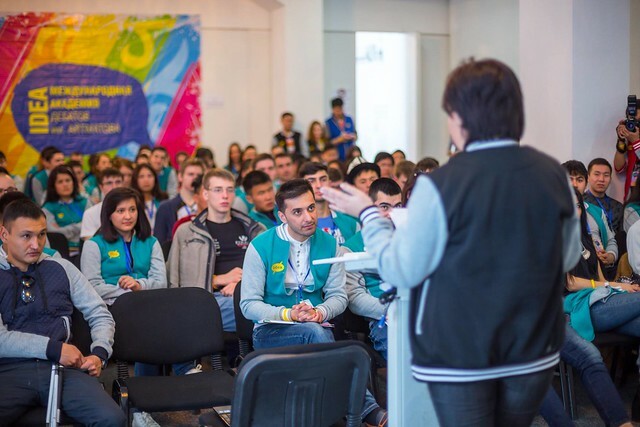 Extemporaneous topics are presented in the form of questions and contestants are expected to take a position on the question as well as to justify their stance. Students prepare and deliver an original speech whose primary purpose is to inform or educate the audience. The speech should describe, clarify, illustrate or define an object, idea, concept or process. Students prepare and deliver an original speech designed to inspire, reinforce or change the beliefs, attitudes, values or actions of the audience. Students must select, analyze and share a cutting from literature (other than verse or plays) through the art of reading aloud. Prose Interpretation expresses thought through language recorded in sentences and paragraphs. Prose Interpretation includes fiction (short stories, novels) and non-fiction (articles, essays, journals, biographies). An effective Prose Interpretation consists of a selection or selections of materials with literary merit. Students must find, analyze and share a cutting or rhyme through the art of reading aloud. Poetry selections express ideas, experiences or emotions through the creative arrangement of words according to their sound, rhythm and meaning. An effective Poetry Interpretation consists of a selection or selections of material with literary merit. Students must select, analyze and share a cutting from a play through the art of reading aloud. A Dramatic Interpretation consists of a selection or selections of literary merit that may be drawn from more than one source. Two students must find, analyze and share a cutting from a play through the art of reading aloud. A Duo Dramatic Interpretation can be either humorous or serious. The cutting should represent the portrayal of one or more characters presented by the two individuals. Students must find, analyze and share a programme of thematically linked selections through the art of reading aloud. The selections should be of literary merit, and must be chosen from at least two of the three recognized genres (prose/poetry/drama). 'Different genres' here means that the material must appear in separate pieces of literature and that, for example, a poem included in a short story that appears only in that short story does not constitute a poetry genre.